This summer I’ve been hiking in northern Sweden again. I explored the mountain area to the north of Sarek around Sweden’s tallest peak Kebnekaise. 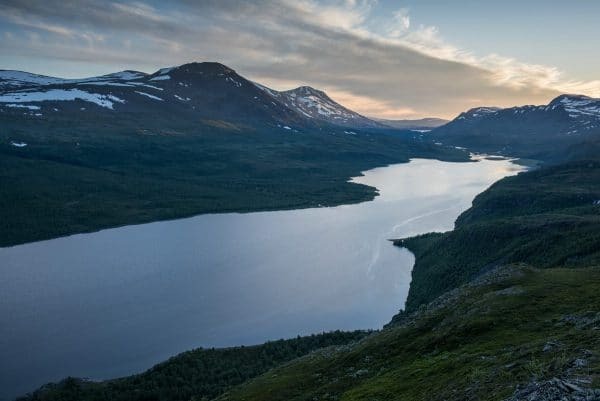 Contrary to Sarek there are marked hiking trails in the area – among them the famous Kungsleden. Cabins are available as well but the region is not overcrowded at all. There are lots of remote areas with no or only infrequently hiked trails. So far, I have only reviewed a small part of my images yet. In the following a few initial impressions; more will follow later along with some background information on the trip. Parts of my hike were quite challenging due to the initially high water levels and lots of midges. Great pictures – as usual. 🙂 Looking forward to see and read more about your summer hike. Many thanks, Agnes! More details on my hike will follow. However, due to my regular job, it may still take a while.